Across the globe, predatory capitalism spreads its gospel of power, greed, commodification, gentrification, and inequality. Through the combined forces of a market driven ideology, policy, and mode of governance, the apostles of free-market capitalism are doing their best to dismantle historically guaranteed social provisions provided by the welfare state, define the accumulation of capital as the only obligation of democracy, increase the role of corporate money in politics, wage an assault on unions, expand the military-security state, increase inequalities in wealth and income, foster the erosion of civil liberties, and undercut public faith in the defining institutions of democracy. As market mentalities and moralities tighten their grip on all aspects of society, democratic institutions and public spheres are being downsized, if not altogether disappearing. As these institutions vanish — from public schools to health care centers– there is also a serious erosion of the discourses of community, justice, equality, public values, and the common good. One does not have to look too far to see what happens in America’s neoliberal educational culture to see how ruthlessly the inequality of wealth, income, and power bears down on those young people and brave teachers who are struggling every day to save the schools, unions, and modes of pedagogy that offer hope at a time when schools have become just another commodity, students are reduced to clients or disposable populations, and teachers and their unions are demonized. Mayor Emanuel and his Board of Education want to close 54 grammar schools around the city, all of which are in black and Latino communities: this is racist. These schools are also being judged based on assessments and tests given throughout the year: this is foolish. These school closings will leave neighborhoods dismantled, parents lost, students unaccounted for, and more importantly, will put children in harmful situations: this is dangerous. been outlined in numerous planning documents from different city administrations, some of which have been drafted by the Commercial Club and have at the center an urban development strategy based on revitalizing the downtown core and prioritizing the financial, real estate and tourist sectors of the economy while at the same time demolishing public housing and schools in order to gentrify historically African American and Latino working class neighborhoods. These transformations are deeply related to the larger structural crisis of capitalism. The background to this is the crisis of profitability that comes to a head in the early 1970s, and the ushering in a period of capitalist regulation known as neoliberalism, marked by savage attacks on unions, workers and working class living standards. Reconstructing the built environment of the city has been absolutely central to all of these changes. This is one attempt to deal with the structural crisis of capitalism at this critical juncture. And destroying unions, and teachers’ unions in particular, have been key to that attempt. This is all the more reason for educators and others to address important social issues and to defend public education as a democratic public sphere. And it is all the more reason to defend the Chicago Public Teachers Union in their struggle with Emanuel because this battle is not a local issue. On the contrary, it is a national issue that will set the stage for future of American public education, which is on its deathbed. The struggle in Chicago must be understood as part of a larger set of market-driven policies in which everything is privatized, transformed into “spectacular spaces of consumption,” and subject to the vicissitudes of the military-security state. One consequence is the emergence of what the late Tony Judt called an “eviscerated society” — “one that is stripped of the thick mesh of mutual obligations and social responsibilities to be found in” any viable democracy. This grim reality represents a failure in the power of the civic imagination, political will, and open democracy. It is also part of a politics that strips the social of any democratic ideals. 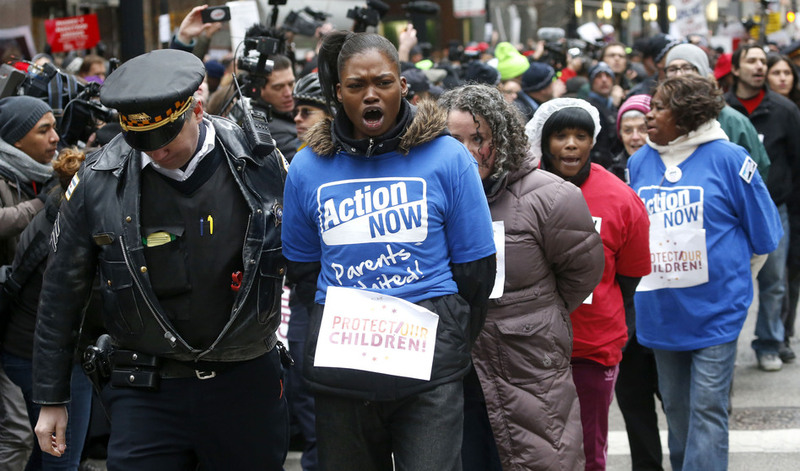 It is also the politics that drives Emanuel’s policies in Chicago around education and a host of other issues. The Gates Foundation, for example, underwrites almost every organizationin its quest to control American education. 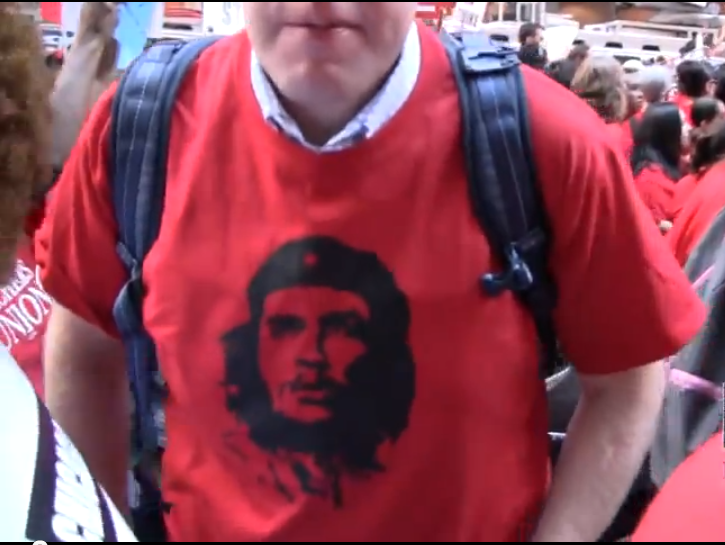 It supports rightwing groups like Jeb Bush’s Foundation for Educational Excellence and Ben Austin’s Parent Revolution. In the recent past, it gave money to the reactionary ALEC. It pays young teachers to oppose unions and to testify against the rights of tenured teachers. It also pays unions to support its ideas about evaluations, despite their flaws. It spends hundreds of millions of dollars to support “independent” think tanks, which are somewhat less independent when they become dependent on Gates money. 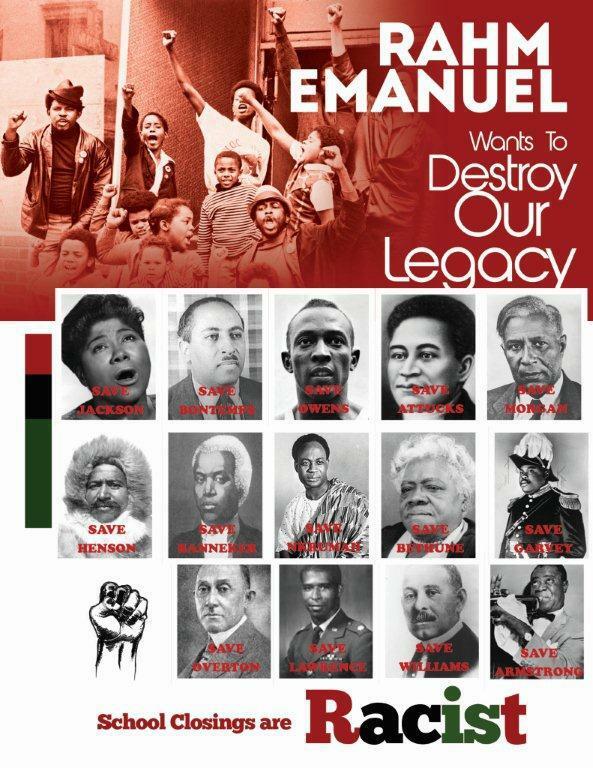 Emanuel is no stranger to the neoliberal agenda pushed by The Gates Foundation and other right-wing conservative corporate groups. He supports a notion of educational reform in which pedagogy is often treated simply as a set of strategies and skills to use in order to teach prespecified subject matter. In this context, pedagogy becomes synonymous with teaching as a technique or the practice of a craft-like skill. Even worse, pedagogy becomes a sterile method for developing skills aimed at raising test scores. The Chicago public school teachers and other educators must reject this definition of teaching and educational reform, along with its endless slavish imitations even when they are claimed as part of an “educational reform” project. In opposition to the instrumental reduction of pedagogy to a method — which has no language for relating the self to public life, social responsibility or the demands of citizenship — progressive educators need to argue for modes of critical pedagogy that illuminate the relationships among knowledge, authority, and power. For instance, any viable reform movement must raise questions regarding who has control over the conditions for the production of knowledge. Is the production of knowledge and curricula in the hands of teachers, textbook companies, corporate interests, or other forces? Central to any viable notion that what makes a pedagogy critical is, in part, the recognition that pedagogy is always a deliberate attempt on the part of educators to influence how and what knowledge and subjectivities are produced within particular sets of social relations. Of crucial importance is the question of authority and how it is legitimated, used, and exercised. When teachers are stripped of authority, pedagogy becomes lifeless, methodical, and militarized, reduced to low level skills and modes of standardization that debases creativity and cripples the imaginative capacities of both teachers and students. Part of what the Chicago teachers are doing in their protests against the school closings is drawing attention to the ways in which authority, knowledge, power, desire, and experience are produced under specific basic conditions of learning and in doing so they are shedding light on educational reform movements in which teaching is stripped of its sense of accountability to parents, place, and the complex dynamic of history and communities. Under such circumstances, the Chicago teachers are refusing educational policies in which matters of authority and pedagogy are removed from matters of values, norms, and power. 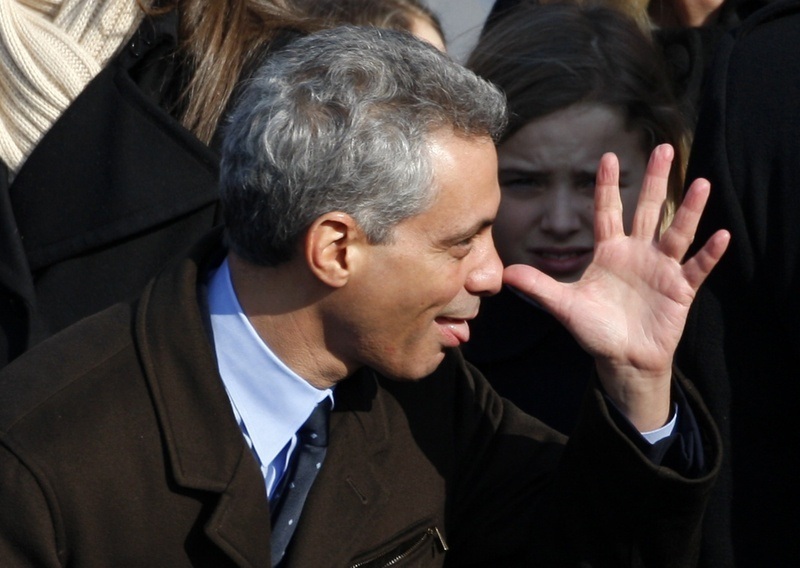 Emanuel’s neoliberal educational philosophy has no understanding of what actually happens in classrooms and other educational settings because it is incapable of raising questions regarding what the relationship is between learning and social change, what knowledge is of most worth, what it means to know something, and in what direction should one desire. Nor does he acknowledge that pedagogy is simultaneously about the knowledge and practices teachers and students might engage in together along with the values, social relations, and visions such practices legitimate. 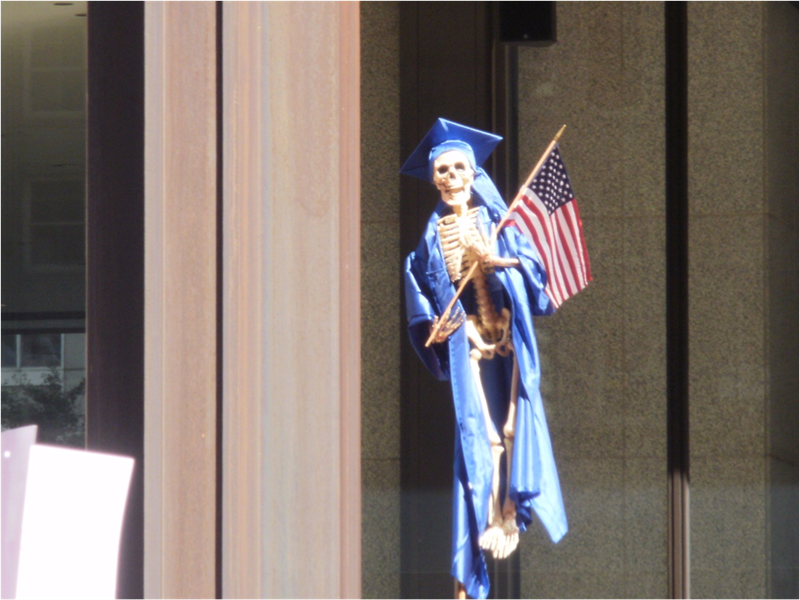 What scares Emanuel and other neoliberal reformers is that pedagogy is a moral and political practice that is always implicated in power relations because it offers particular versions and visions of civic life, community, the future, and how we might construct representations of ourselves, others, and our physical and social environment. 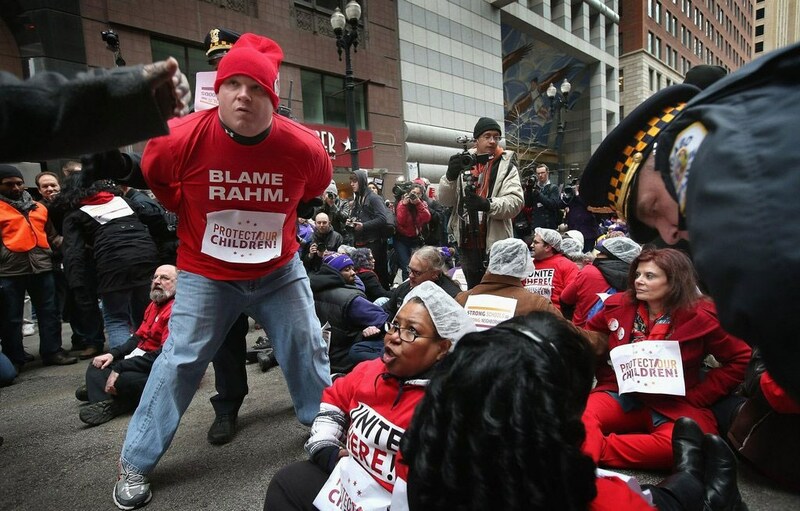 At the heart of the Chicago demonstrations against Emanuel’s polices are a series of broader questions that situate the right-wing reform movement in a broader set of market-driven politics. For instance, what kind of society allows economic injustice and massive inequality to run wild in a society allowing drastic cuts in education and public services? Why are more police being put in schools just as more prisons are being built in the United States? What does it mean when students face not just tuition hikes but a lifetime of financial debt while governments in Canada, Chile, and the U.S. spend trillions on weapons of death and needless wars? What kind of education does it take both in and out of schools to recognize the emergence of various economic, political, cultural, and social forces that point to the dissolution of democracy and the possible emergence of a new kind of authoritarian state? In an age of irresponsible privatization, unchecked individualism, celebrity culture, unfettered consumerism, and a massive flight from moral responsibility, it has become more and more difficult to acknowledge that educators and other cultural workers have an enormous responsibility in opposing the current threat to the planet and everyday life by bringing democratic political culture back to life. Lacking a self-consciously democratic political focus or project, teachers are often reduced either to the role of a technician or functionary engaged in formalistic rituals, unconcerned with the disturbing and urgent problems that confront the larger society or the consequences of one’s pedagogical practices and research undertakings. In opposition to this model, with its claims to and conceit of political neutrality, it is crucial that teachers in Chicago and cities across the United States combine the mutually interdependent roles of critical educator and active citizen. This requires finding ways to connect the practice of classroom teaching with the operations of power in the larger society and to provide the conditions for students to view themselves as critical agents capable of making those who exercise authority and power answerable for their actions. The role of a critical education is not to train students solely for jobs, but also to educate them to question critically the institutions, policies, and values that shape their lives, relationships to others, and myriad connections to the larger world. 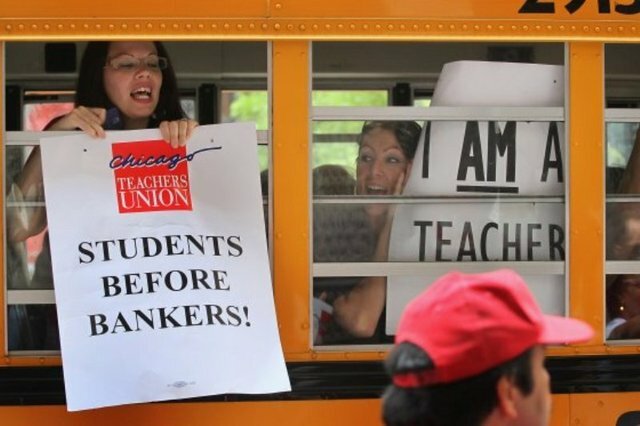 Equally important is the task of teacher unions all over America to forge alliances with a range of social movements so that the struggle for education is connected to the struggle for social provisions, a new understanding of politics, and the development of mass movements that can shut down the savagery of a neoliberal public pedagogy and economic machine that is the enemy of any viable notion of democracy. Education is never innocent and if it is to be understood and problematized as a form of academic labor, educators must resist all calls to depoliticize pedagogy through appeals to either scientific objectivity or ideological dogmatism. Educational dogmatism now takes the form of blatant attacks on unions, the dissolution of public schools largely inhabited by poor minority students, the imposition of disciplinary apparatuses that criminalize the behavior of low income and poor students of color, and the development of curricula that deadens the mind and soul through a narrow pedagogy of test taking. What is happening in Chicago and other cities in the United States is the production of a pedagogy of repression. This suggests the need for educators to rethink the purpose and meaning of education, the crucial importance of pedagogy in a democracy, and the collective struggles that will have to be waged against neoliberal racism and its attempts to dismantle the power of teachers to gain control over the conditions of their labor. Education must be reclaimed as central to any viable notion of citizenship, civic responsibility, and democracy itself. What Rahm Emmanuel and his ilk fear is the potential of public education to enable students to think critically, hold power accountable, and imagine education as a form of educated hope. Education and pedagogy cannot be reduced to the dictates of an audit culture with its rendering of critical thought nil and void just as it elevates a mindless pedagogy of test taking as the ultimate pedagogical practice and the final arbiter over what constitutes quality teaching, learning, and what it means to be educated. What is lost in this pedagogical practice is a pedagogy that provides the conditions for students to come to grips with their own power, master the best histories and legacies of education available, learn to think critically and be willing to hold authority accountable. And most importantly, the dangerous notion that changing attitudes is not enough and that students should also be pressed to exercise a fearsome form of social responsibility as engaged citizens willing to struggle for social, economic, and political justice. This is the last approach to education that the current Mayor of Chicago wants to see materialize in the cities’ public schools. What Chicago public schools teachers fought for in their three days of demonstrations is the right to define teaching as a performative practice that is not only about teaching young people to be literate and knowledgeable but also to embrace the mutually informing modalities of power and knowledge so as to engage education as an act of intervention in the world, one that moves beyond simple matters of critique and understanding. At the essence of the brave struggles waged by the Chicago public school teachers is the recognition that any viable approach to pedagogy must acknowledge the crucial nature of the labor conditions necessary for teacher autonomy, cooperation, decent working conditions, safety of the children, and the relations of power necessary to give teachers and students the capacity to restage power in productive ways – ways that point to self-development, self-determination, and social agency. What also needs to be understood is that pedagogy is more than a method or its antithesis, a free-wheeling conversation between students and teachers. On the contrary, it is precisely by recognizing that teaching is always directive — that is, an act of intervention inextricably mediated through particular forms of authority that teachers can offer students — for whatever use they wish to make of them — a variety of analytic tools, diverse historical traditions, and a wide range of knowledge. At issue here is a pedagogical practice that must provide the conditions for students to learn to think critically and to narrate themselves; such a practice must also provide for teachers to be learners attentive to the histories, knowledge, and experiences that students bring to the classroom and any other sphere of learning. In this instance, pedagogy should enable students to learn how to govern rather than be governed. The war being waged against Chicago public schools, teachers, and students is the product of a corporate ideology and pedagogy that numbs the mind and the soul, emphasizing repressive modes of learning that promote winning at all costs, learning how not to question authority, and disdaining the hard work of learning how to be thoughtful, critical, and attentive to the power relations that shape everyday life and the larger world. As learning is privatized, depoliticized, and reduced to teaching students how to be good consumers, any viable notions of the social, public values, citizenship, and democracy wither and die. What role might public school teachers take in light of poisonous assaults waged on public schools by the forces of neoliberalism? In the most immediate sense, they can raise their collective voices against the influence of corporations that are flooding societies with a culture of war, consumerism, commercialism, and privatization. They can show how this culture of commodified cruelty and violence is only one part of a broader and all-embracing militarized culture of war, arms industry, and a Darwinian survival-of the-fittest ethic that increasingly disconnects schools from public values, the common good, and democracy itself. They can bring all of their intellectual and collective resources together to critique and dismantle the imposition of high-stakes testing and other commercially driven modes of accountability on schools. They can mobilize young people and others to defend education as a public good by advocating for policies that invest in schools rather than in the military-industrial complex and its massive and expensive weapons of death. For instance, the US government’s investment in procuring a number of F35 jets, which cost $137 million each. They can educate young people and a larger public to fight against putting police in schools, modeling schools after prisons, and implementing zero tolerance policies which largely punish poor minority children. Instead of investing in schools, children, health care, jobs for young people, and much needed infrastructures, neoliberal societies celebrate militarism, hyper-masculinity, extreme competition, and a survival of the fittest ethic while exhibiting disdain for any form of shared bonds, dependency, and compassion for others; advocates of neoliberalism have eliminated social provisions, destroyed pension plans, eliminated health care benefits, allowed inequality to run wild, and have done so in order to safeguard and expand the assets of the rich and powerful. As social bonds and the institutions that support them disappear from such societies so do the formative cultures that make civic education, critical literacy, and cultures of questioning possible. Too many school systems operate within disciplinary apparatuses that turn public education into either an extension of the prison-industrial complex or the culture of the mall. When not being arrested for trivial rule violations, students are subjected to walls, buses, and bathrooms that become giant advertisements for consumer products, many of which are detrimental to the health of students, contributing to the obesity crisis in America. Increasingly, even curricula are organized to reflect the sound of the cash register, hawking products for students to buy and promoting the interests of corporations who celebrate fossil fuels as an energy source, sugar filled drinks, and a Disney-like view of the world. 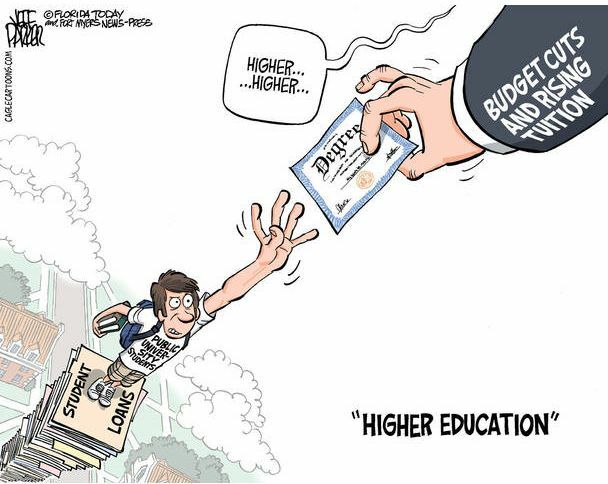 And of course, this commodification of public education is not migrating to higher education with the speed of light. University student centers are being modeled after department stores, complete with an endless array of vendors trying to sell credit cards to a generation already swimming in debt. University faculty is valued more for their ability to secure grants than for their scholarship. 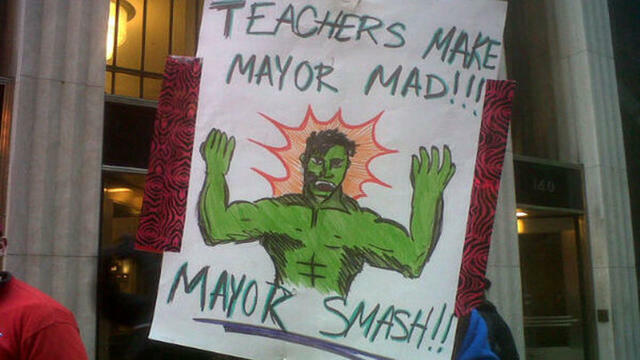 What is encouraging about the growing opposition of the Chicago teachers to the poisonous policies, pedagogies, and shameless racism of Mayor Rahm Emanuel is their willingness, under the inspiring educational leadership of Karen Lewis, the head of the Chicago Teachers Union, to develop a discourse of both critique and possibility. This has meant developing discourses and pedagogical practices that connect with reading the world, and doing so in ways that enhance the capacities of young people as critical agents and engaged citizens. In taking up this project, Lewis and others have struggled to create the conditions that give students the opportunity to become critical and engaged citizens who have the knowledge and courage to struggle in order to make desolation and cynicism unconvincing and hope practical. Hope in this instance is educational, removed from the fantasy of idealism unaware of the constraints facing the dream of a democratic society. Educated hope is not a call to overlook the difficult conditions that shape both schools and the larger social order. On the contrary, it is the precondition for providing those languages, values, relations of power, and collective struggles that point the way to a more democratic and just world. Educated hope provides the basis for dignifying the labor of teachers; it offers up critical knowledge linked to democratic social change, it affirms shared responsibilities, and encourages teachers and students to recognize justice, equality, and social responsibility as fundamental dimensions of learning. Such hope offers the possibility of thinking beyond the given. As difficult as this task may seem to educators, if not to a larger public, it is a struggle worth waging. It is important to note that democracy begins to fail and political life becomes impoverished in the absence of those vital public spheres such as public and higher education in which civic values, public scholarship, and social engagement allow for a more imaginative grasp of a future that takes seriously the demands of justice, equity, and civic courage. Democracy should be a way of thinking about education, one that thrives on connecting equity to excellence, learning to ethics, and agency to the imperatives of social responsibility and the public good. The right wing governors, corporate affiliated politicians, and the shameless hedge fund managers and billionaires are waging a war in order to colonize public education and destroy the dignity of teachers, students, and critical learning. 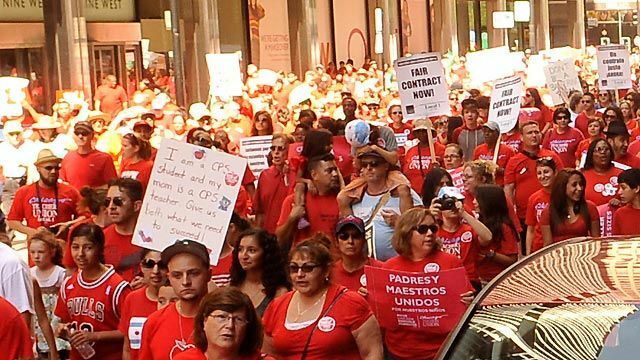 The Chicago teachers refuse to believe that the anti-democratic market-driven forces attacking American public schools are irreversible, part of a new common sense that is beyond critical inquiry and dissent. The three days of demonstrations hold a wider meaning for all Americans. Not only do they demonstrate that the future is still open, but that the time has come through a show of collective struggle and moral and political outrage that public education is crucial to invigorating and fortifying a new era of civic imagination, a renewed sense of social agency, and an impassioned collective political will. Public school teachers are one of the few remaining forces left in the land of corrupt bankers, hedge fund managers, and right-wing politicians that can imagine the promise of democracy and are willing to fight for it. 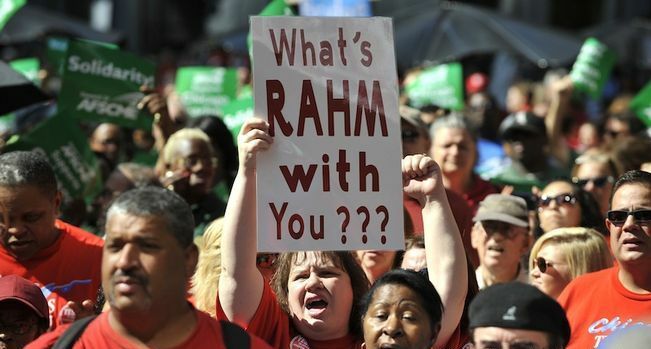 The struggle being waged by the Chicago Public School teachers is part and parcel of a battle for the essence of education, if not democracy itself. See, for example, David Harvey, The New Imperialism, (New York: Oxford University Press, 2003); David Harvey, A Brief History of Neoliberalism (Oxford: Oxford University Press, 2005); Wendy Brown, Edgework (Princeton: Princeton University Press, 2005); Henry A. Giroux, Against the Terror of Neoliberalism (Boulder: Paradigm Publishers, 2008); Manfred B. Steger and Ravi K. Roy, Neoliberalism: A Very Short Introduction, (Oxford University Press, 2010). Both quotes are from Ibid., Allison La Fave, “5 Reasons Why You Should be Willing to Risk Arrest to Protect Public Education,” AlterNet. See, for instance, on the rise of the racist punishing state, Michelle Alexander, The New Jim Crow: Mass Incarceration in the Age of Colorblindness (New York: The New Press, 2010); on the severe costs of massive inequality, Joseph E. Stiglitz, The Price of Inequality: How Today Divided Society Endangers Our Future (New York: Norton, 2012); on the turning of public schools into prisons, see Annette Fuentes, Lockdown High: When the Schoolhouse Becomes a Jailhouse (New York: Verso, 2011).
. Quoted in Michael L. Silk and David L. Andrews. “(Re)Presenting Baltimore: Place, Policy, Politics, and Cultural Pedagogy.” Review of Education, Pedagogy, and Cultural Studies 33 (2011), p. 436.
. Alex Honneth, Pathologies of Reason (New York: Columbia University Press, 2009), p. 188. For an excellent analysis of contemporary forms of neoliberalism, Stuart Hall, “The Neo-Liberal Revolution,” Cultural Studies, Vol. 25, No. 6, (November 2011, pp. 705-728; see also David Harvey, A Brief History of Neoliberalism (Oxford: Oxford University Press, 2005); Henry A. Giroux, Against the Terror of Neoliberalism (Boulder: Paradigm Publishers, 2008). For examples of this tradition, see Maria Nikolakaki, ed. Critical Pedagogy in the Dark Ages: Challenges and Possibilities, (New York: Peter Lang, 2012); Henry A. Giroux, On Critical Pedagogy (New York: Continuum, 2011). See, Henry A. Giroux, The Education Deficit and the War on Youth (New York: Monthly Review Press, 2013). Man, this is one through analysis of the forces at work in Chicago and around the country. The shock doctrine aka austerity aka the sequester are in full effect in the public schools in Philadelphia, Los Angeles, Chicago, etc. In Florida where I live and teach, the Jeb Bush Foundation for Educational Excellence has turned the clock back not just on the schools but on the unions that represent the teachers, bus drivers, aides, custodial and cafeteria workers.